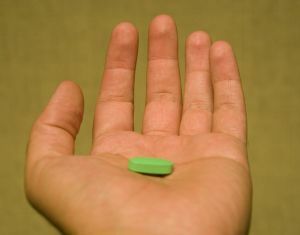 While it is almost a foregone conclusion that the extremely high award will be reduced by the court, the fact remains that a jury concluded that the drug company knew that Actos could cause bladder cancer in humans during the FDA approval phase and withheld the dangerous side effects from the general public when marketing the drug. The drug company is also reported to have destroyed documents that suggested the correlation between Actos and bladder cancer. The plaintiff has alleged that the bladder cancer has been extremely painful and he is left with the need for ongoing treatment, a high risk of developing new cancers in the future, and said that Actos has essentially ruined his life. As of now, more than 5,000 lawsuits have been filed against the makers of Actos relating to bladder cancer. There are many more people who may become affected by this debilitating cancer who were only doing what they were told would manage their type 2 diabetes condition. On the other hand, punitive damages are designed, as the name implies, to punish the tortfeasor (defendant) for conduct that truly shows a willful and wanton disregard for the safety of others. These damages are over and above actual or compensatory damages and are used to send a message that, if the defendant or anyone else in the defendant’s position acts in such a way again, it will not be tolerated by society. While punitive damages are the exception rather than the norm, they are sometimes necessary to make a company who makes hundreds of billions each year take patients’ health and well-being more seriously. If you are the victim of Massachusetts product liability due to the consumption of Actos, call the Law Offices of Jeffrey S. Glassman for a free and confidential appointment — 1-888-367-2900.